CALLING THE SHOTS: "The response has been tremendous," the auteur reveals. Months after its debut, New Caribbean Cinema's Ring Di Alarm continues to reap critical huzzahs on the international film-festival circuit. As Storm Saulter puts it, viewers and critics alike find the unique, vignette-style effort incredibly fascinating, not least because of its visceral island storytelling, intriguing imagery and universally relevant themes, including a powerful sense of place. "It's still being received very well. Audiences love it, and I think it's mainly because of how we made it," Saulter says. "It's rather unusual, and that makes it all the more interesting. So we got invited to quite a few film festivals. The response has been tremendous." The overseas run now (nearly) complete, Jamaicans at home are about to finally bear witness to the stellar project. "The next step is bringing it home," explains Saulter of the impending local launch, set for sometime later this year. "We were hoping to have opened it here sooner, but there were several things we had to take care of first." 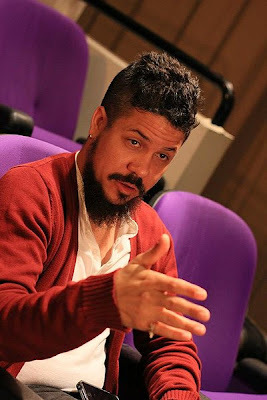 A driven filmmaker known for his outside-the-box visions and gritty-witty techniques that elevated films like Better Mus' Come, Saulter is already eyeing his next move. 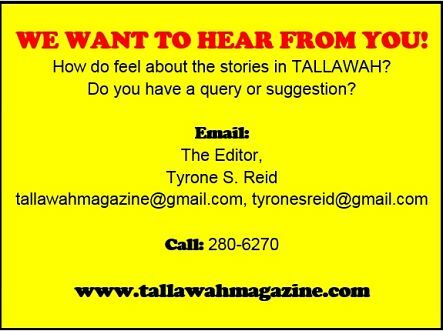 Sure enough, he tells TALLAWAH he has a few ideas he's hoping to delve into in the near future. And that includes bringing to life a passionate love story he's excited to tell. "It's called Sting Ray, and it's about a love triangle in the upper echelons of society," he says of the feature. Though the aim is to commence production before year-end, it's still in the foetal stages. "It's among the many projects I'm thinking of doing next, once it's a go. As long as the casting and other details are worked out, I'd like to get it going. Hopefully around December-January."